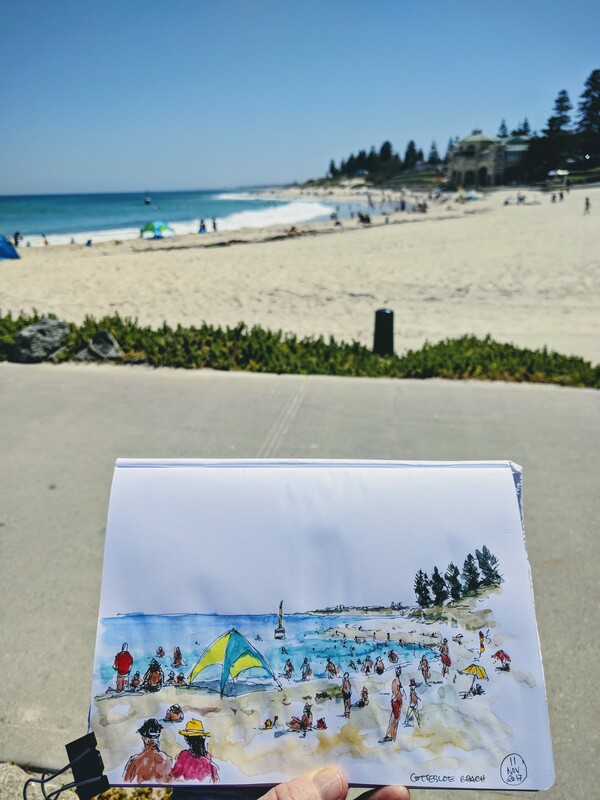 The Urban Sketchers Perth met this morning at Cottesloe Beach to celebrate 10 years since the first Urban Sketchers started in the US. 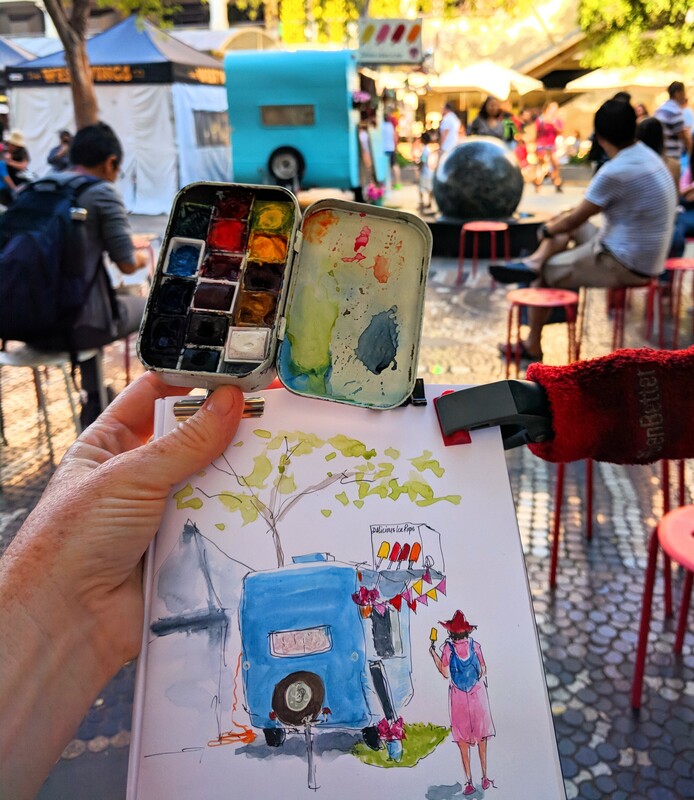 An early evening meetup with the Urban Sketchers Perth in the centre of the city….Forrest Place has a “Hawkers Market” on every Friday night during the warmer months, lots of different food stalls, music and entertainment. 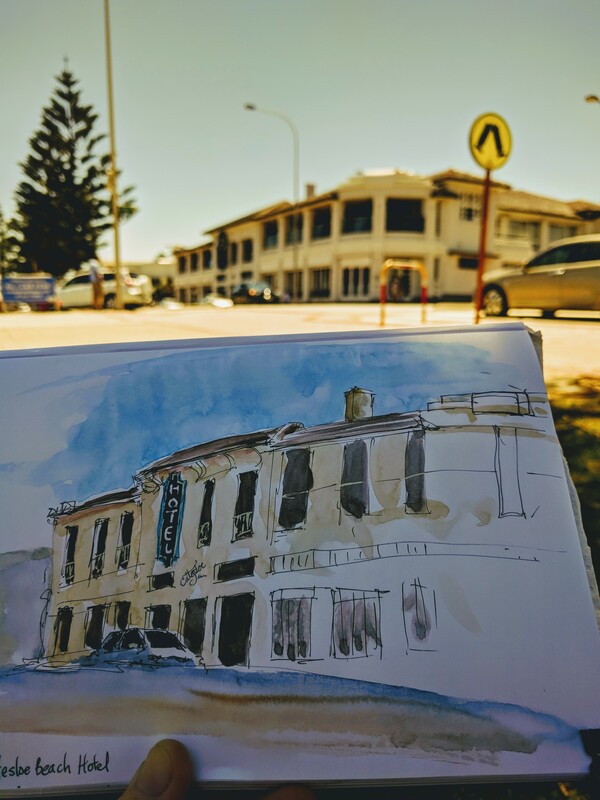 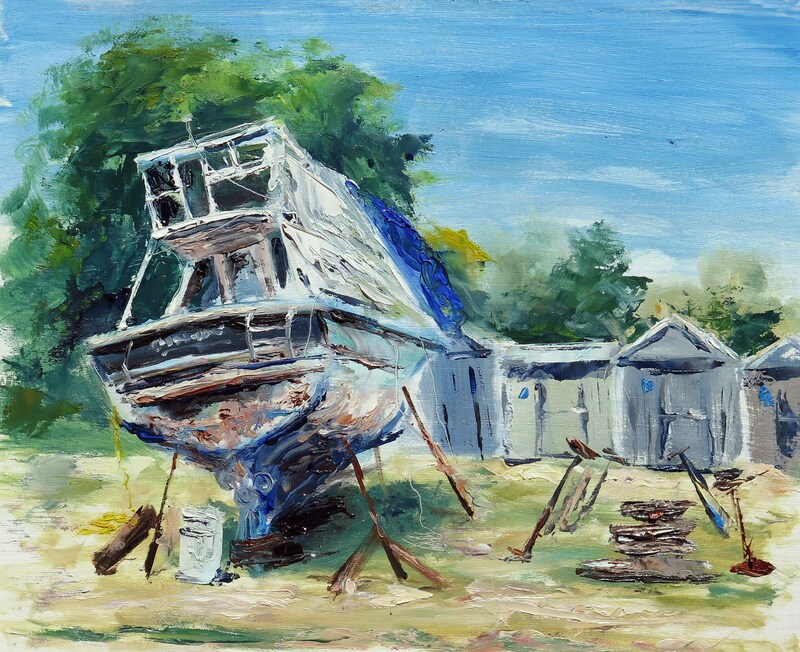 I arrived a little late but had time to sketch this cute little caravan selling home made ice lollies.